jaah, miehet kuulemma tykkää katella naisia. huh, onneks mä oon sinkku eikä kukaan oo kiinnostunu musta. jaan hulluuteni mieluummin itseni kanssa. 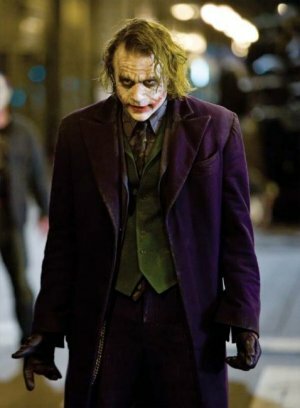 "All it takes is one bad day to reduce the sanest man alive to lunacy. That's how far the world is from where I am. Just one bad day. You had a bad day once. Am I right? I know I am. I can tell. You had a bad day and everything changed. Why else would you dress up like a flying rat?" 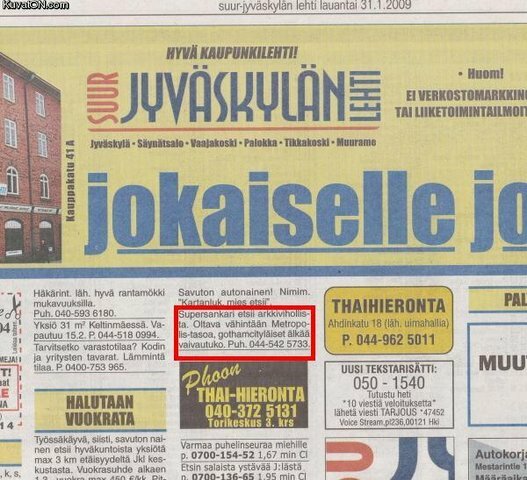 [ ] olet alkanut kutsua poikaystävääsi tai miestäsi Mr J. [x] kysyt ihmisiltä ainakin kerran päivässä Why so serious? [x :DD] hakiessasi seuraavankerran ylennystä työpaikallasi sanot: "It's not about money... it's about sending a message." [x :DDD] et ole ajattelematta elokuvaa. [jos osaisin ommella, mutku en osaa :(((] käyskentelet paikallisissa kangaskaupoissa etsien juuri sopivaa kangasta, että voisit tehdä identtisen kopion hänen puvustaan. Tää on nii ihana leffa, et kyl yhden italian kokeen voi uhrata. "Do you wanna know how I get these scars? My father, was... a drunkard, and a fiend. And one night, he goes crazyer than usually. Mummy gets the kitchen knife to fendershelf. He doesnt like that, not one bet. -he takes the knife to her, laughting wall he doesn't. He comes me with the knife. "Why so serious..?!" 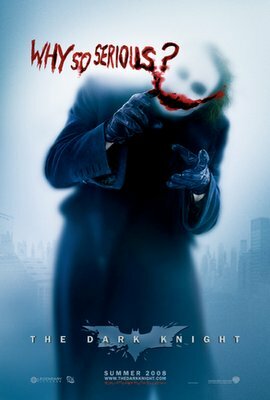 He stick the blade in my mouth..
"Let's put a smile on that face...!" "You look nervous. Is it the scars? You want to know how I got them? Come here. Hey, look at me. So I had a wife, beautiful, like you. Who tells me, I worry too much. Who tells me, I ought to smile more. Who gambles, and gets in deep with sharks. One day they carve her face. We have no money for surgeries. She can't take it! I just want to see her smile again. I just want her to know that I don't care about the scars. So I stick a razor in my mouth and do this... to myself. And you know what? She can't stand the sight of me! She leaves. Now I see the funny side. Now I'm always smiling!" wanna know how i got these scars? my father was... a drinker. and a fiend. and one night he goes off crazier than usual. mommy gets the kitchen knife to defend herself. he doesn't like that. not. one. bit. so, me watching, he takes the knife to her, laughing while he does it. 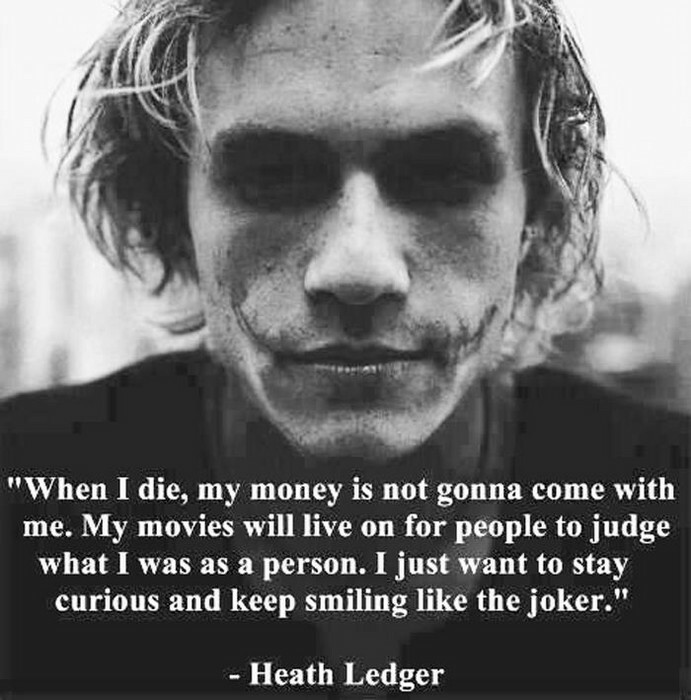 turns to me and he says 'why so serious?'. comes at me with the knife, 'WHY SO SERIOUS?'. he sticks the blade in my mouth. 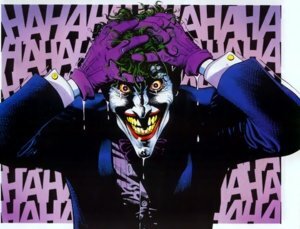 "LETS PUT A SMILE ON THAT FACE!" 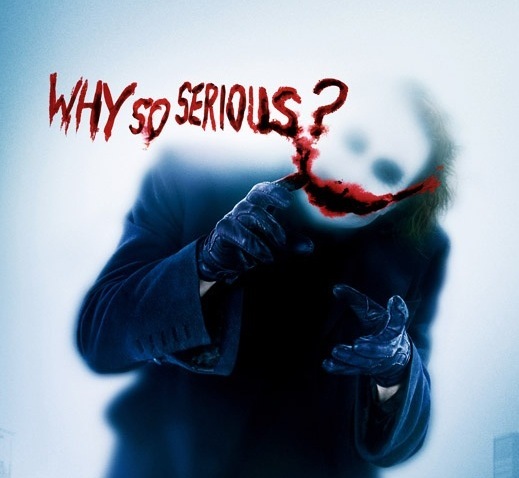 and... why so serious? The deepest scars are those we cannot see. or a preacher on TV. you can smile and nod instead! 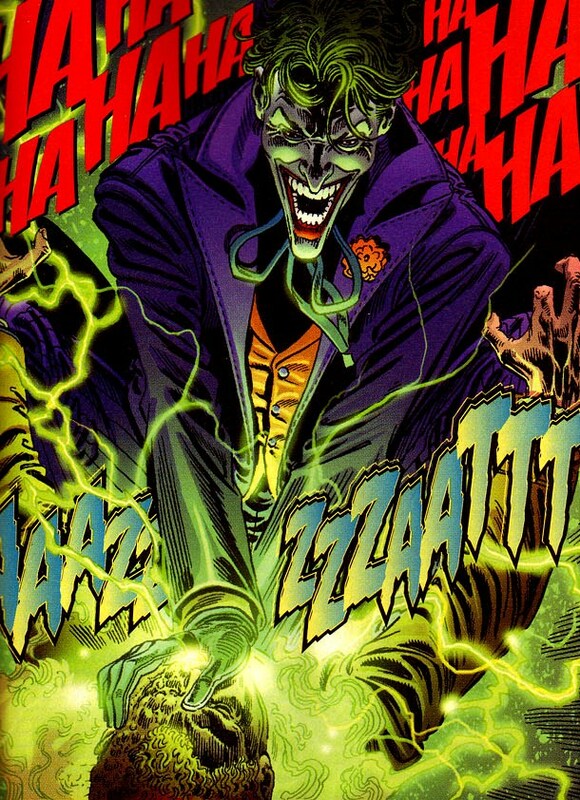 "This city deserves A better class of criminals and I am going to give it to them you'll see"